The outcome of Thursday’s referendum in Britain could create a domino effect with similar plebiscites held in other EU countries, Igor Korotchenko, the editor of National Defense journal with close ties to the Defense Ministry, told RIA Novosti. 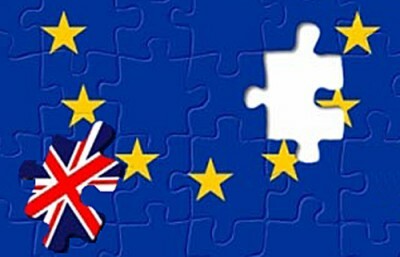 According to an official count, 51.9 of Britons voted for the United Kingdom’s exit from the 28-nation bloc. “The results of the British referendum will deal a devastating blow to the EU bureaucracy in Brussels and could lead to similar plebiscites in other EU countries, above all Greece, Spain and Italy. It also means that the British people don’t like the idea of having outside structures deciding their economic and foreign policy,” Korotchenko said. He added that Britain would now be drawing even closer to Washington toeing the US line and sharing responsibility for America’s military adventurism. “This primarily concerns London’s readiness to station US offensive forces in Britain and the contribution to development of the US missile defense program,” Korotchenko noted. He added, however, that it would be an illusion to expect the EU to break up given the non-binding nature of the British referendum. Moreover, Britain’s NATO membership will not be going anywhere, just like its contribution to the Alliance’s collective nuclear might. “In any case, there is now an entirely new political situation we now have in Europe strengthening the hand of the Euro-sceptics which, in turn, will be politically weakening the European Union, Igor Korotchenko said.